The Wechsler adult intelligence scale (WAIS) is an individually administered measure of intelligence, intended for adults aged 16–89. The WAIS is intended to measure human intelligence reflected in both verbal and performance abilities. Dr. David Wechsler, a clinical psychologist , believed that intelligence is a global construct, reflecting a variety of measurable skills and should be considered in the context of the overall personality. The WAIS is also administered as part of a test battery to make inferences about personality and pathology, both through the content of specific answers and patterns of subtest scores. Besides being utilized as an intelligence assessment, the WAIS is used in neuropsychological evaluation, specifically with regard to brain dysfunction. Large differences in verbal and nonverbal intelligence may indicate specific types of brain damage. The WAIS is also administered for diagnostic purposes. Intelligence quotient (IQ) scores reported by the WAIS can be used as part of the diagnostic criteria for mental retardation , specific learning disabilities, and attention-deficit/hyperactivity disorder (ADHD). The Wechsler intelligence scales are not considered adequate measures of extremely high and low intelligence (IQ scores below 40 and above 160). The nature of the scoring process does not allow for scores outside of this range for test takers at particular ages. Wechsler himself was even more conservative, stressing that his scales were not appropriate for people with an IQ below 70 or above 130. Also, when administering the WAIS to people at extreme ends of the age range (below 20 years of age or above 70), caution should be used when interpreting scores. The age range for the WAIS overlaps with that of the Wechsler Intelligence Scale for Children (WISC) for people between 16 and 17 years of age, and it is suggested that the WISC provides a better measure for this age range. Administration and scoring of the WAIS require an active test administrator who must interact with the test taker and must know test protocol and specifications. WAIS administrators must receive proper training and be aware of all test guidelines. The Wechsler intelligence tests , which include the WAIS, the WISC, and the WPPSI (Wechsler preschool and primary scale of intelligence), are the most widely used intelligence assessments and among the most widely used neuropsychological assessments. Wechsler published the first version of the WAIS in 1939, initially called the Wechsler-Bellevue. The newest version is the WAIS-III (the third edition, most recently updated in 1997). Since Wechsler's death in 1981, the Wechsler tests have been revised by the publisher, the Psychological Corporation. The theoretical basis for the WAIS and the other Wechlser scales came from Wechsler's belief that intelligence is a complex ability involving a variety of skills. Because intelligence is multifaceted, Wechsler believed, a test measuring intelligence must reflect this multitude of skills. After dividing intelligence into two major types of skills—verbal and performance—Wechsler utilized the statistical technique of factor analysis to determine specific skills within these two major domains. These more specific factors formed the basis of the Wechsler subtests. The WAIS-III consists of 14 subtests and takes about 60–75 minutes to complete. The test is taken individually, with a test administrator present to give instructions. Each subtest is given separately, and proceeds from very easy items to very difficult ones. There is some flexibility in the administration of the WAIS—the administrator may end some subtests early if test takers seem to reach the limit of their capacity. Tasks on the WAIS include questions of general knowledge, traditional arithmetic problems, a test of vocabulary, completion of pictures with missing elements, arrangements of blocks and pictures, and assembly of objects. The WAIS is considered to be a valid and reliable measure of general intelligence. When undergoing reliability and validity studies, other intelligence tests are often compared to the Wechsler scales. It is regularly used by researchers in many areas of psychology as a measure of intelligence. Research has demonstrated correlations between WAIS IQ scores and a variety of socioeconomic, physiological, and environmental characteristics. The WAIS has also been found to be a good measure of both fluid and crystallized intelligence. Fluid intelligence refers to inductive and deductive reasoning, skills considered to be largely influenced by neurological and biological factors. In the WAIS, fluid intelligence is reflected in the performance subtests. Crystallized intelligence refers to knowledge and skills that are primarily influenced by environmental and sociocultural factors. In the WAIS, crystallized intelligence is reflected in the verbal subtests. Wechsler himself did not divide overall intelligence into these two types. However, the consideration of fluid and crystallized intelligence as two major categories of cognitive ability has been a focus for many intelligence theorists. The Wechshler scales were originally developed and later revised using standardization samples. The samples were meant to be demographically representative of the United States population at the time of the standardization. The WAIS elicits three intelligence quotient scores, based on an average of 100, as well as subtest and index scores. WAIS subtests measure specific verbal abilities and specific performance abilities. The WAIS elicits an overall intelligence quotient, called the full-scale IQ, as well as a verbal IQ and a performance IQ. The three IQ scores are standardized in such a way that the scores have a mean of 100 and a standard deviation of 15. Wechsler pioneered the use of deviation IQ scores, allowing test takers to be compared to others of different as well as the same age. WAIS scores are sometimes converted into percentile ranks. The verbal and performance IQ scores are based on scores on the 14 subtests. The 14 subtest scores have a mean of 10 and a standard deviation of three. The WAIS also elicits four indices, each based on a different set of subtests: verbal comprehension, perceptual organization, working memory, and processing speed. The full-scale IQ is based on scores on all of the subtests and is a reflection of both verbal IQ and performance IQ. It is considered the single most reliable and valid score elicited by the WAIS. However, when an examinee's verbal and performance IQ scores differ significantly, the full-scale IQ should be interpreted cautiously. The verbal IQ is derived from scores on seven of the subtests: information, digit span, vocabulary, arithmetic, comprehension, similarities, and letter-number sequencing. Letter-number sequencing is a new subtest added to the most recent edition of the WAIS (WAIS-III). The information subtest is a test of general knowledge, including questions about geography and literature. The digit span subtest requires test takers to repeat strings of digits. The vocabulary and arithmetic subtests are general measures of a person's vocabulary and arithmetic skills. The comprehension subtest requires test takers to solve practical problems and explain the meaning of proverbs. The similarities subtest requires test takers to indicate the similarities between pairs of things. The letter-number sequencing subtest involves ordering numbers and letters presented in an unordered sequence. Scores on the verbal subtests are based primarily on correct answers. The performance IQ is derived from scores on the remaining seven subtests: picture completion, picture arrangement, block design, object assembly, digit symbol, matrix reasoning, and symbol search. Matrix reasoning and symbol search are new subtests and were added to the most recent edition of the WAIS (WAIS-III). In the picture completion subtest, the test taker is required to complete pictures with missing elements. The picture arrangement subtest entails arranging pictures in order to tell a story. The block design subtest requires test takers to use blocks to make specific designs. The object assembly subtest requires people to assemble pieces in such a way that a whole object is built. In the digit symbol subtest, digits and symbols are presented as pairs and test takers then must pair additional digits and symbols. The matrix reasoning subtest requires test takers to identify geometric shapes. The symbol search subtest requires examinees to match symbols appearing in different groups. Scores on the performance subtests are based on both response speed and correct answers. Groth-Marnat, Gary. Handbook of Psychological Assessment, 3rd edition. New York: John Wiley and Sons, 1997. Tasks on the WAIS include questions of general knowledge, traditional arithmetic problems, a test of vocabulary, completion of pictures with missing elements, arrangements of blocks and pictures, and assembly of objects. 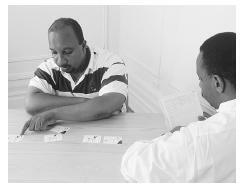 The picture arrangement subtest (shown above) entails arranging pictures in order to tell a story. One problem with the 2100 tinmliee is that we might get a snapshot of where sea levels could be then, but where are they heading to?wilful, I think the best answer is the paleoclimate record, which from Hansen's stuff I set out as follows:I can't do tables so here's five statements that link levels of CO2e and temperatures (referenced to pre-industrial) with sea level rise.180ppm give a temperature of -5C and a sea level of -120m280ppm give a temperature of 0C and a sea level of 0m280-300ppm give a temperature of 1.7 to 2.7C and a sea level of 4-6m380 (360-400)ppm give a temperature of 2.7 to 3.7C and a sea level of 15 to 35m425 (350-500)ppm give a temperature of 5.7C and a sea level of 75m The last one is problematic, because it refers to a situation about 35mya, when India hadn't smacked into Asia, hence the Himalayas weren't there, nor were the Andes, the Americas hadn't joined, Antarctica was less isolated, the ocean currents were bound to be different and even the shape of the ocean basins would have been different. The second last, however, refers to a time 3mya when things were pretty much as they are now.Even if the ice sheets take 6000 years to melt, a figure that has been mentioned, that still gives an average of 1.25m per century. The effect of even this leisurely melt would be that you never have stable coastlines, and once the golden sands disappear they won't reappear until there is greater stability.Another way of looking at it is that if all the ice goes with a 6C rise, which it almost surely would, that gives you an average commitment of about 13m for every 1C. Remember during the last glacial maximum when the temp was about 6C lower than now you had a sea level 120m lower.So the commitment involved in even small temperature changes is likely to be quite large, the main question is how long it takes to come to be. We need to find a way or what's left of it.